Chakma Tribe - also known as the Changma, are the fourth largest tribal group of Tripura and they came to Tripura in the 5th century. The community also inhabits the Chittagong Hill Tracts of Bangladesh. 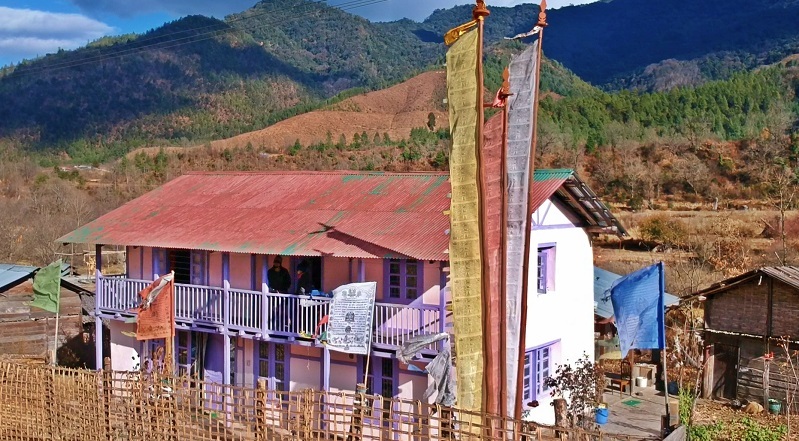 People of Chakma Community in Tripura are found normally in the Sub-Divisions of Kailashahar, Amarpur, Sabroom, Udaip...ur, Belonia and Kanchanpur. Ethnically, the Chakmas are Tibeto-Burman, and are thus closely related to tribes in the foothills of the Himalayas. Although the Chakmas are divided into several groups and sub-sections, no major difference is noticed in the manner and customs indifferent groups. The vast majority of the Chakma are followers of Theravada Buddhism, a religion that they have been practising for centuries. Chakmas speak in 'Changma Vaj' or 'Changma Kodha' - Chakma language. Many linguists consider the language a part of the Southeastern Bengali branch of Eastern Indo-Aryan language. 'Biju' is the main cultural festival of Chakma People. It is a three day long festival. 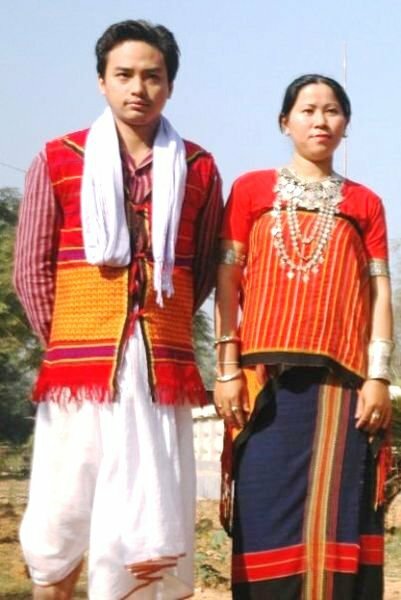 Chakma's are a community with their own culture, folklore, literature and traditions. The Chakma women, like all other tribal women, are experts in weaving. They wear an ankle length cloth around the waist which is also called 'Phinon' and also a 'Khadi' wrapped above the waist as well as silver ornaments. The Chakma textiles are colourfully hand weaved with various designs.